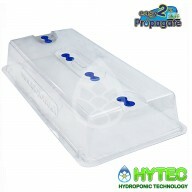 Easy2Propagate Basic Kit The easy2Propagate Basic Kit gives you all the options. 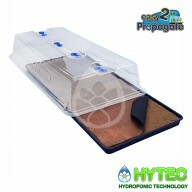 Either connect to your AutoPot Watering System with your own existing equipment or use as a standalone propagator and irrigate manually. 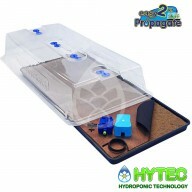 The kit offers the same level of potential for those who prefer to grow it alon..
Easy2Propagate Extension Kit The easy2Propagate Extension Kit allows you to take control of what you grow and how it’s grown from a plant’s earliest stages. 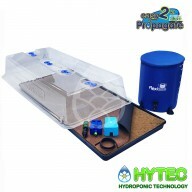 The Extension Kit allows you to connect an easy2Propagate to your existing AutoPot Watering System, complimenting the easy2Propagate’s flexi..
Easy2Propagate Complete Kit The easy2Propagate Complete Kit is a complete plant production facility. Everything you require to start cultivating on a grand scale is included. The Complete Kit compliments the growing potential of the easy2Propagate with proven, ultra-efficient and low-maintenance ..